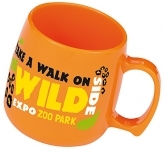 Promotional mugs represent a fantastic way in which to showcase your logo at trade shows and exhibitions or as daily brand promoters around the office. 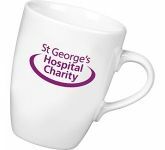 Choosing personalised printed mugs for your next promotion is a guaranteed way to keep your message right in the eye-line of your customers on a daily basis and at a budget friendly price! 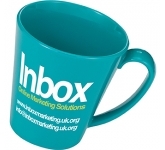 The search for new clients is never ending for the majority of business owners. As a result, most dedicate a substantial amount of money to marketing endeavors. Many choose to pay for advertisements on the television or radio. Billboards and newspaper or magazine advertisements are also a popular choice. The majority of business owners also spend large amounts of money having business cards, brochures, and fliers printed. Sometimes, these materials are sent as direct mailers, while in other cases they are handed out in various locations. 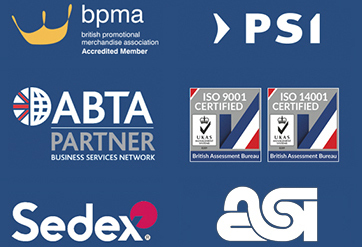 The problem with paper promotion, such as business cards and fliers, is that such materials are often thrown away without so much as being looked at. Because people are exposed to such a vast number of adverts each and every day, many television, radio, billboard, and other large scale ads also go ignored. 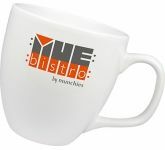 When businesses choose to hand out promotional gifts, however, the results tend to be much better. 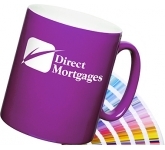 Printed mugs have long been a popular gift for businesses for a number of reasons. 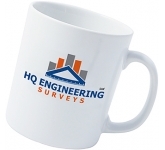 Primarily, many people drink coffee, tea, or another hot beverage, making a mug an ideal and practical gift. Since they are practical, they are very unlikely to go unused. 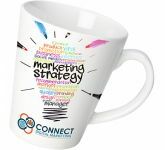 Such cups can also serve as a branding opportunity that can last for decades. 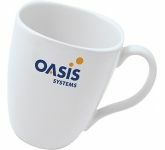 Not only does the beverage drinker see your logo or company name whenever the cup is used, but anyone nearby sees it also. 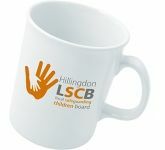 Mugs also have a lot of different options, making them affordable for organisations of any size. 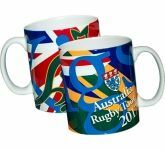 Because they are durable and often serve as long-term promoting opportunities, they are also an excellent option for the money spent. 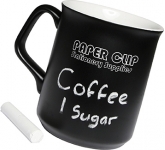 In addition to traditional coffee mugs, travel mugs are also a popular option. 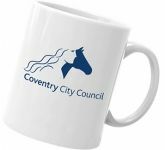 Because these are designed to be taken along wherever one goes, they offer even more impactful opportunities than traditional mugs because they have the potential of being seen by a greater number of individuals. 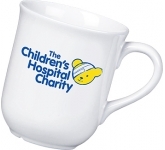 At GoPromotional, we carry a wide selection of drinkware, including high quality custom printed mugs. 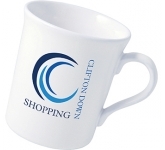 We offer traditional glass, china, and earthenware ones in numerous styles and designs. 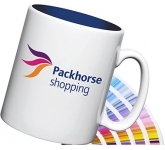 For the beverage lover on the go, we also carry numerous travel mugs in an assortment of styles and colors. 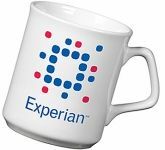 All of our mugs and drinkware are designed to be emblazoned with your companies name or logo, and they can serve as valuable promoting tools or gifts for years to come.